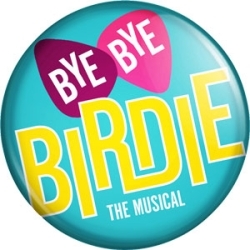 This summer I attended the stellar production of Bye Bye Birdie, Directed by: Shel Piercy Rock as part of Theatre under the Stars in Malkin Bowl. Set in 1960 as teenagers all across North America are going crazy for rock star, Conrad Birdie. Yes just like kids today love Justin Beiber, the kids of Sweet Apple, Ohio are crazy for this (thinly-disguised) “Elvis Presley” teen heart-throb. His manager, Albert Peterson has staked his financial future on Conrad’s success. Albert’s secretary, Rosie wants to marry Albert but is increasingly frustrated that Albert puts Birdie’s career before Rosie’s romantic plans. And just like Elvis Presley was in real life, Conrad Birdie has been drafted! Albert conceives an audacious plan. One lucky fan will kiss Conrad Birdie live on the Ed Sullivan Show before he leaves for the army. Kim MacAfee, is the lucky girl chosen to be kissed. But conflict arises when her boyfriend, Hugo Peabody, gets jealous and things begin to go horribly (and hilariously!) wrong. When Albert ignores her advice Rosie becomes fed-up with Albert and especially fed-up with his domineering mother, Mae Peterson. You know it will all come right in the end but not before some of the greatest music ever written for a Broadway musical comedy has been sung and the audience is left helpless with laughter!